Are you curious about the world’s most spoken language? 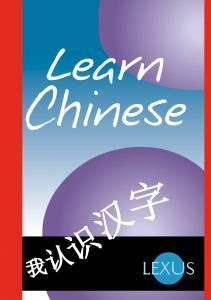 Would you like to get to know some basic Chinese? Well, the Lexus course is designed for this. We will introduce you to speaking and understanding Chinese. Is there just one Chinese language? By Chinese we mean the language that is spoken on mainland China in the People’s Republic and which is sometimes also called Mandarin. Isn’t it a very complex language? The course will focus on the spoken language. And you might be surprised at its simplicity. We will open just a little window into the written language too, but that is not the main aim at this stage. You will be taught and guided by a Scot who has a lifelong mastery of Chinese, an Oxford scholar who has lived and worked in China, and who understands the needs of the learner. One class a week for 1 hour, classes to be held in the early evening, from 6.00 to 7.00. Course dates: every Tuesday from 19th March 2019 to 1st May. We aim to have classes of at least 5 learners and no more than 15 learners. What is the commitment and cost? In these introductory blocks there will be just 7 lessons, each lasting one hour. The price for this is £56. In addition you will need a one-off purchase of the course book with an audio CD, costing £19.50. The course book and CD cover a lot more than the first 7 lessons. There will be further blocks of lessons after this starter, each block costing £56. Course fees can be paid by cash, cheque or card.